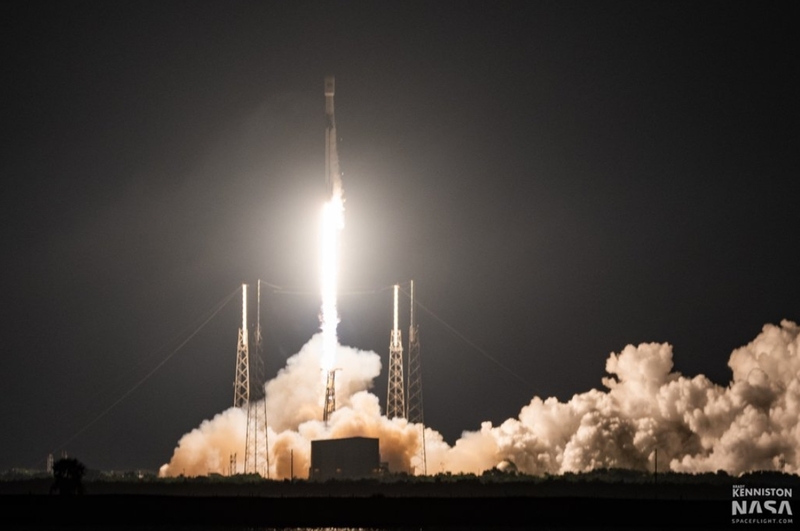 SpaceX conducted their thirteenth launch of the year Sunday, with a Falcon 9 rocket deploying the Telstar 19V communications satellite for Canada’s Telesat. The first of a pair of Falcon 9 launches slated to occur just three days apart, Sunday’s mission began with liftoff from the Cape Canaveral Air Force Station at the opening of a four-hour window at 01:50 Eastern Time (05:50 UTC). SpaceX also recovered the first stage of the Falcon 9 via their Autonomous Spaceport Drone Ship (ASDS), Of Course I Still Love You.